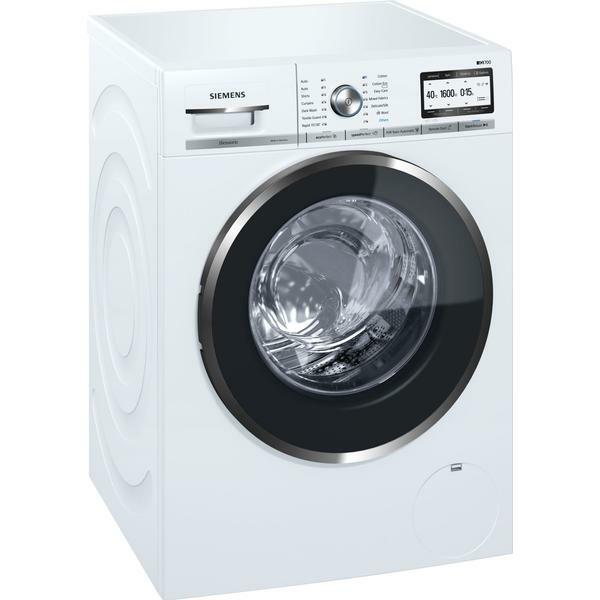 alaTest har samlat in och analyserat 7 tester för Siemens IQ-500 WM14W750GB 9Kg Washing Machine with 1400 rpm - White. Det genomsnittliga betyget av denna produkt är 5.0/5, att jämföra med genomsnittsbetyget 4.6/5 för produkter i samma kategori. "Loving the new washing machine, great capacity, runs quietly. Would recommend." "We are over the moon with our washing machine. It has 14 different settings which allows to us to wash various clouthing types on different settings. We would recommend this machine to anyone. Very easy to use and very good results. "